A classic example of elegance and sophistication, this dress looks very pretty and is a perfect wear for the mother of the bride. The dress is knee length and it has a round neckline. 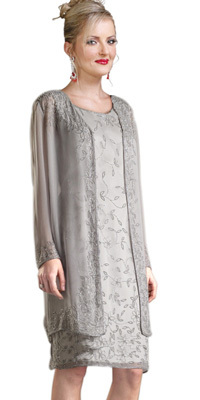 The whole dress is embroidered and t comes with a long sleeved jacket that adds more elegance.